When NME released the C86 cassette in 1986, no one was entirely aware of how much of a cult item it would later become. But the 22-track compilation ended up being so influential that it resulted in the unintentional creation of a new subgenre: C86, a version of independent jangle pop. One of the bands featured on the tape, The Wolfhounds, enjoyed moderate success at the time, but in retrospect, lead singer and guitarist David Callahan says the group didn’t necessarily feel like its song belonged on the recording in the first place. Additionally, he insisted that although C86 became an umbrella term later on, the way he saw it, there was a lot of variety in the sound of the bands on the tape. The Wolfhounds are one of the bands on this more-than-25-year-old compilation that still exists, albeit in an updated configuration. But Callahan said if the band were to be featured on a tape today, he’d prefer to be called something else. “We rather think that we stand on our own these days and would not fit into any particular genre, though if someone wanted to compile a bunch of awkward pop bands – if we’re not on our own there – under the umbrella ‘uneasy listening,’ that might work,” he said. 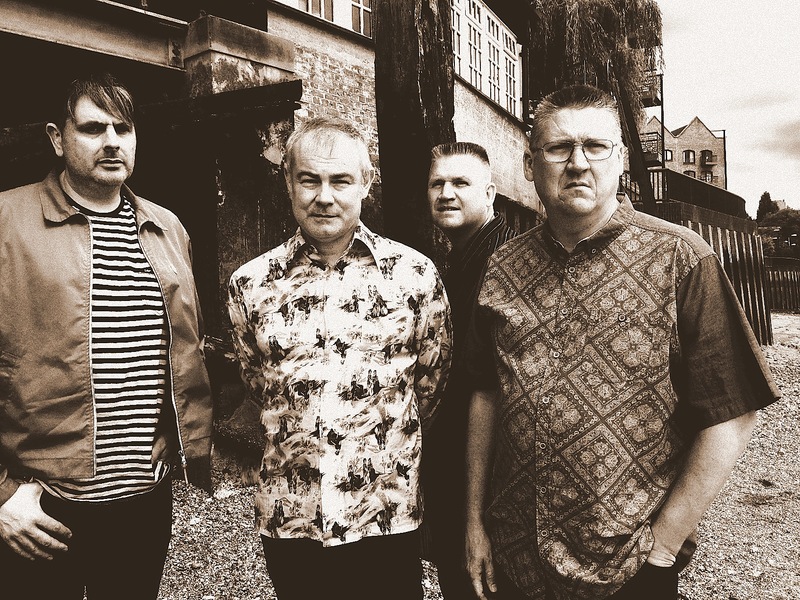 The Wolfhounds initially formed in 1985, releasing four albums over its five-year span, before calling it quits in 1990. Fifteen years later, in 2005, the band reunited to celebrate the 20-year anniversary of the release of its first single, 1996’s Cut the Cake. It was initially intended as a one-off type of deal, but at some point, it became more than that. So naturally, after feeling things out, The Wolfhounds – which also consists of Richard Golding on bass and Peter Wilkins on drums – decided to keep at it, releasing an EP last year, along with the single Cheer Up in January of this year. Later this month, The Wolfhounds will follow that single up with another, Divide & Fall, a song Callahan said he has had sitting around for quite some time. Of course, the real question for fans is when another full-length will come out, given that 1990’s Attitude is already more than 23 years old. And there are other challenges to contend with, one being that the music industry today is so over-saturated with watered-down artists that it’s difficult to break in, much less make a difference, according to Callahan. But even with the formula to success being giving the industry people what they want, Callahan has nobler and better goals for The Wolfhounds and remains adamant about carving out a niche where the band can do what it wants and hopefully still garner a substantial following, proving the industry wrong. The Wolfhounds will play at Grüner Salon in Berlin on Friday, Oct. 4, as part of Popfest Berlin 2013. This entry was posted in Interview and tagged British, Feature, Interview, The Wolfhounds. Bookmark the permalink.